A few years ago the newest educational fad was for all students to have a laptop and spend most of the day online. Many schools are now backing away from this approach. There were problems with students wasting time sending messages to each other and visiting non-productive websites. Furthermore, research has now shown that paper is better than a computer screen for the brain. 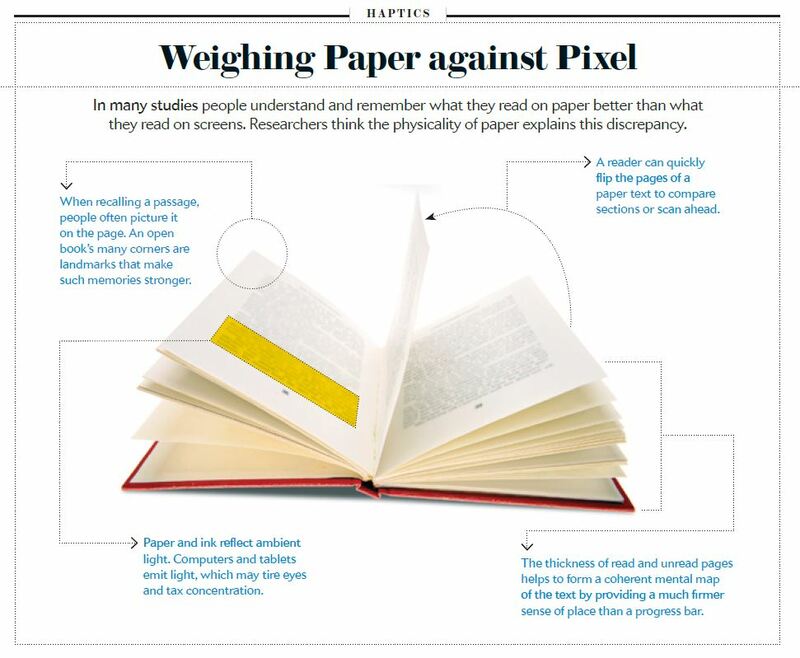 An article in the November 2013 issue of Scientific American magazine clearly supports what we already know: most people understand and remember text better when read on paper rather than a screen. Many children ranging from as young as eight years old to late teens are spending up to 12 hours a day looking at electronic screens. This is far beyond the recommended maximum screen use of two hours each day. We at Accelerate Christian Home Schooling recommend a paper-based resourced where only a few electives are done online such as Rosetta Stone. A.C.E. resources require a student to self-assess (under supervision) and achieve mastery in a concept, before he or she moves on to the next level of difficulty. While parents are encouraged to allow their children to research topics on the Internet, (under supervision and when appropriate), the primary learning resource is in the form of workbooks, which we call PACEs, Packets of Accelerated Christian Education.